Yes, I m still posting pictures from our trip to San Francisco in August. And I'll probably be posting gardens we visited in June in October. :) I'm late getting this Mosaic Monday together because I had to drive my daughter back to school tonight. We had a lovely weekend together, though, which makes it all worthwhile. So, what do we have pictured here? 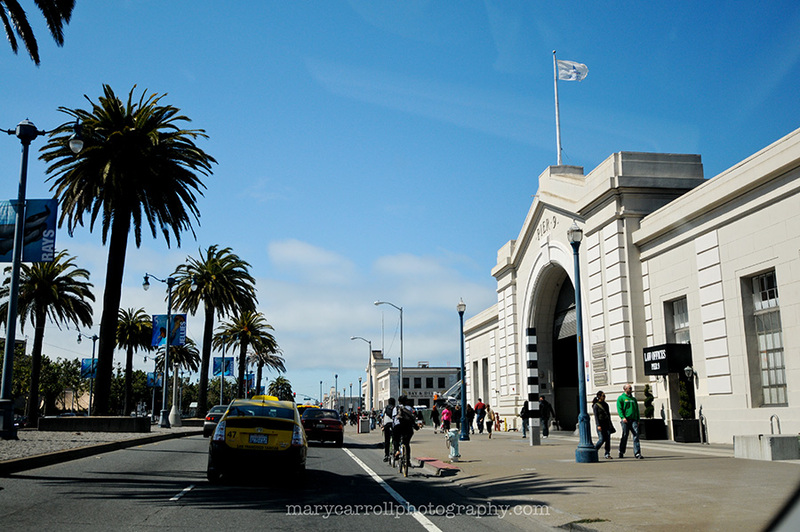 The top picture was taken along the Embarcadero, which is prime waterfront property filled with high end shops and eateries. 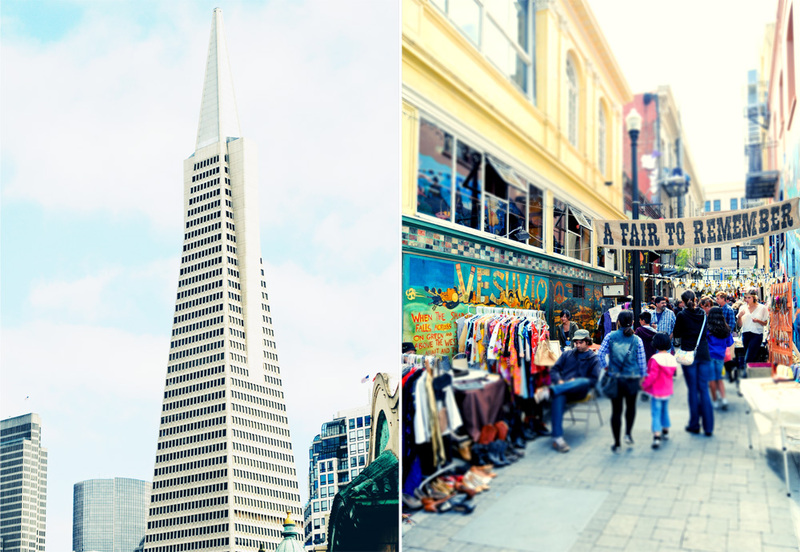 The second set of pictures shows the Transamerica Pyramid, the tallest building in the city, and a small street fair which we happened upon while visiting the famous City Lights bookstore, founded by the Beat poet Lawrence Ferlinghetti in 1953. The beautiful green building is the historic Sentinel building, home of the famous film company American Zoetrope, which produced Godfather I & II, and Apocalypse Now, among others. Below that is Ghirardelli Square, home to the famous chocolate makers, as well as a mall filled with high-end gift shops and eateries. The final picture shows the wharf directly across from Ghirardellli Square. The Transamerica building is in the background. Mary, I love the architecture that you captured in these pictures. San Francisco is on my bucket list! Wonderful sights from San Francisco. It is a beautiful city, one of my favorite places. Wonderful mosaic and photos, I hope you have a great week! Gorgeous shots Mary. I have certainly enjoyed your San Francisco journey. Mary I'm enjoying seeing all your pictures. I've never been to San Francisco so all the views are new to me. When you've had such a great holiday it's nice to be able to share the experience with others. Looking forward to more. Beautiful photos. It's always nice to see other places by touring with bloggers. How I'd love to visit San Francisco! It's not really that far from here so there's no excuse - must visit! Beautiful shots and thanks for taking us on the tour. I am visiting through your photos. Have a wonderful week. I'm enjoying your SF photos so much. I would love to go there someday. Meanwhile your photos substitute for a visit right now! I like the pyramid and the green building. Such interesting shapes. I was in San Francisco once, about 30 years ago! Glad you got your daughter off safely. Have a wonderful week. The Transamerica building is quite a beautiful landmark. Love to visit SF again. Beautiful photos, Mary. Love the picture of the bird. Beautiful, clear and serene... I put in my link 2x but still do not see it. ??? 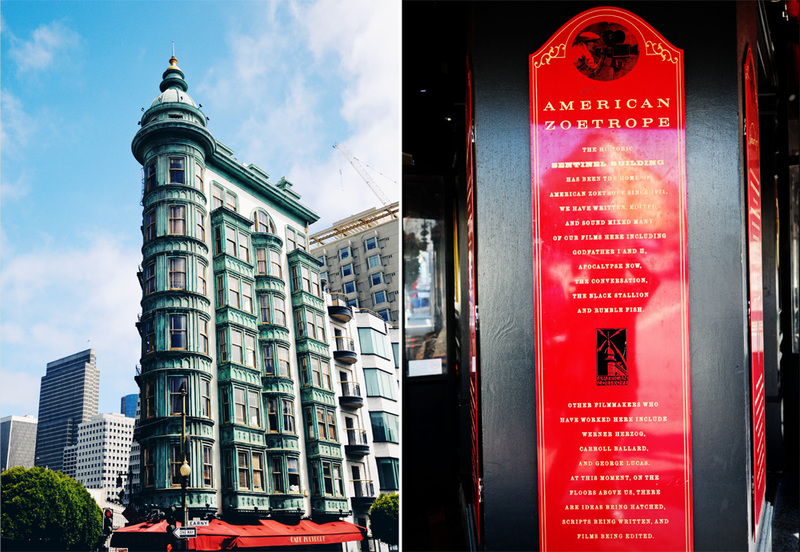 Thanks so much for sharing your trip to San Francisco. Also, thanks for hosting again this week. Beautiful photos. I've always wanted to visit SF and your posts about the city make me want to go there NOW! 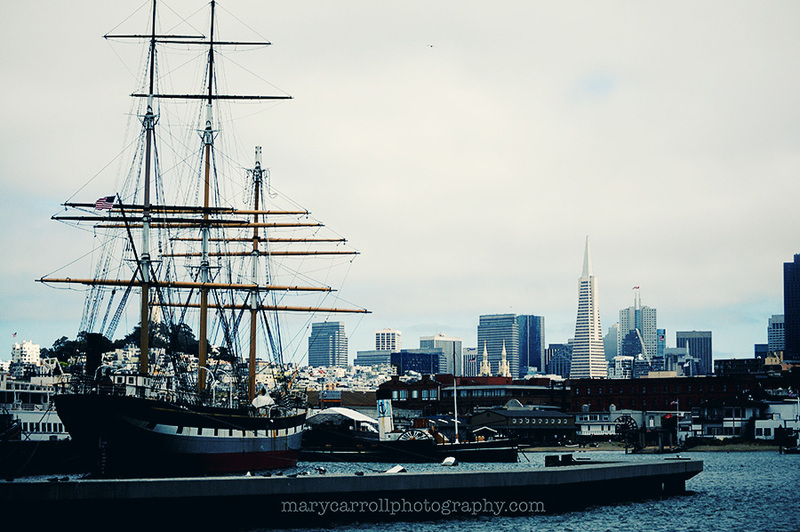 I love San Francisco and I never tire of seeing photos of it, Mary. I've visited all the locations you've shown today over the years. Ghiadelli square is always a fun place to sample some of their yummy chocolate! What a wonderful post! It must have been a great day! Thanks for sharing! I'd be happy to carry your bags on your next trip! :D :D Beautiful shots of SanFrancisco. What a beautiful city San Francisco is. We were there once many years ago and I still remember so many details. Lovely photo's and mosaics Mary. 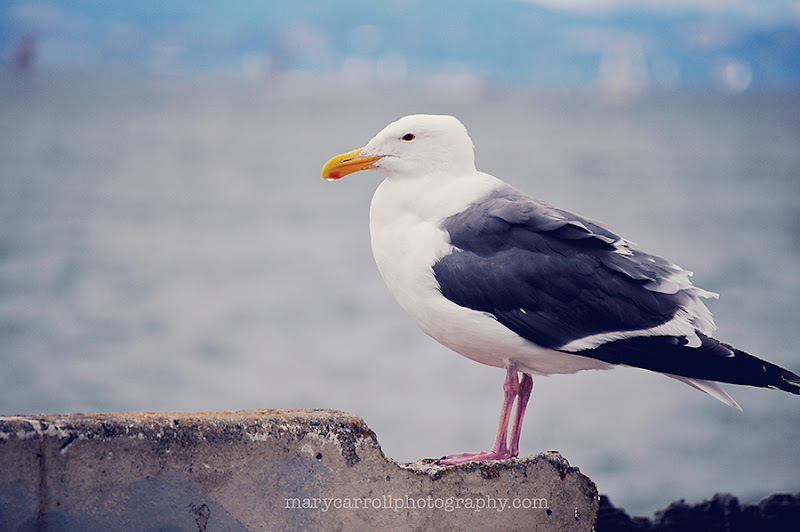 Mary, loved seeing these photos from your trip to San Francisco. What a beautiful city! You're apologising for posting more photos from your August 2011 trip!? If you have more, don't just keep them in your hard disk; we'd love to see more. I'm actually posting from my collection of photos from my New Zealand holiday in Oct 2010! So many more to share, which I had neglected to share. Your travel was wonderful I can see. I loved the green building. I will probably never be able to go there but your shots are so clear and beautiful I feel as if I had been. Never apologize for a great photo presentation. Plenty of material to share with us over the coming months then Mary. I enjoyed today's selection. Wonderful, wonderful, wonderful! 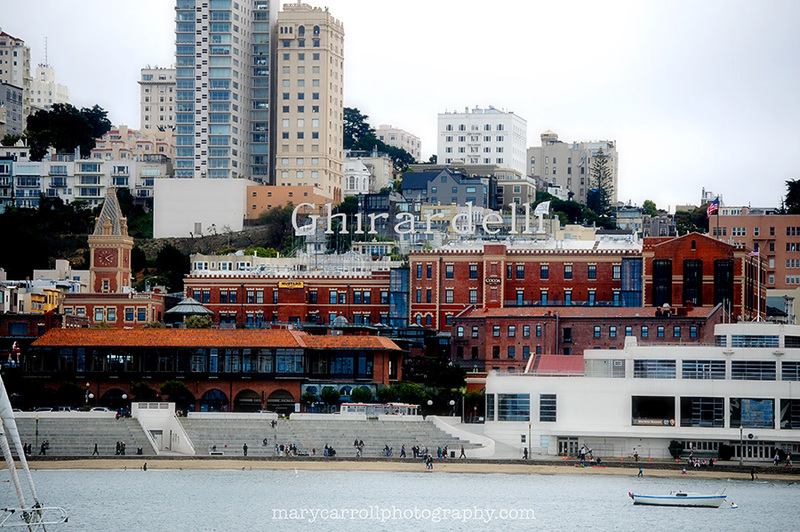 I especially love the colors of Ghiradelli square..
Love the SF pictures; I will probably never visit there, as I am convinced that the minute I set foot in San Francisco, the whole dang place will tumble down in an earthquake. We do visit Southern CA because Alida lives in LA; our next trip will be in February. You do take the loveliest pictures! And I never get enough of those garden ones -- put up a lot of them in the cold months, please! PS Glad you like the dark doorway --it's actually not black, but that very VERY dark green Charleston green. Sunlight brings out a hint of the green; othrwise it "reads" as black. Hahahaha... A Fair To Remember. Just went back for a 2nd look, and noticed that. Oh, Mary these are travel guide worthy. Wow! It's so funny to see you post these pictures of San Francisco... My mom lives right above the bay..her view is the San Francisco Bay and I'm not to far from this pier...happy Monday.